Shape the future with renewable energy! Safe and reliable stirring with a great deal of power! For the past 30 years Hochreiter Biogas has been ensuring efficient and highly reliable plant systems and equipment. We use our know-how and provide biogas plants for intelligent energy production with well thought-out designs. As pioneers in the industry, we are fully versed in innovation and technology. This experience is to the benefit of our customers. Our biogas plants convince in more than 20 countries, due to their reliable and economical performance. Our broad service network guarantees that the performance of your biogas plant is always available for you. Do you have any questions about biogas plants and components? We will gladly inform you and assist you further. Learn who we are and what drives us! 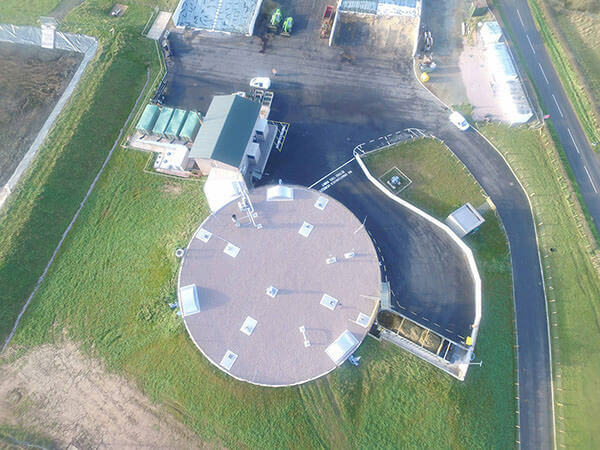 For over 30 years now, Hochreiter GmbH, from Schnaitsee in Upper Bavaria and one of the leading companies in the biogas industry, has been operating efficient and above all highly reliable plant systems and equipment in over 20 countries. Our product range includes plant systems in the power range from 10 kW of electricity in compact systems up to gas supply systems in the megawatt range. Contact addresses and contact information can be found under the heading “Contact”. Environmentally friendly energy designs with maximum economic efficiency. We guarantee our customers sophisticated, efficient and reliable solutions. Germany's "Energy Transition acceptance champion"